The Carpe Diem is the first boat we started operating in 2008 and the reason for the start of the company Carpe Diem Maldives Pvt. Ltd. 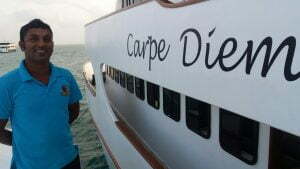 The Carpe Diem was built in the Maldives fully out of wood by Amir Mansoor who is also the owner of the boat. 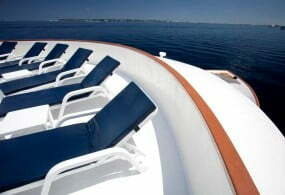 The boat has 10 cabins divided over 3 decks and can cater for a maximum of 20 people. The boat is accompanied by a diving dhoni (tender) and a small speedboat (dingy). 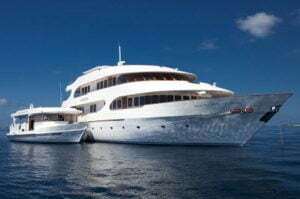 The Carpe Diem caters for scuba diving trips, surfing trips, fishing trips or tailor made cruises for exclusive groups. Our local dive team of 3 with their abundance of experience can cater for any experience level diver and is able to ensure that everyone of any nationality has a lasting wonderful diving experience. On dedicated scuba diving trips the Carpe Diem offers standard 3 dives a day. 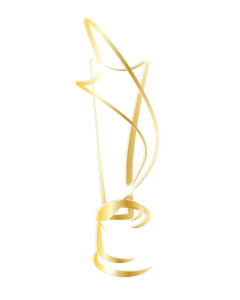 What makes the Carpe Diem further stand out is the service provided by a dedicated crew, some of which have been with the company for a many years. Clients that have come back described it as “coming home”. The MV Carpe Diem is a 35 m long motor safari yacht with a wooden hull. 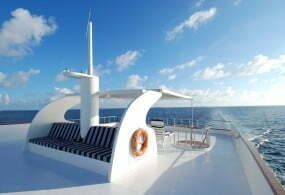 It has 3 decks plus a sundeck. The main briefing area and lounge area, with a coffee / tea table offering you coffee/tea and drinking water 24 hours a day. It also has a wide flat screen TV, DVD/MP3 player. Furthermore the main deck has two comfortable Double cabins, the kitchen, laundry room and another open air sitting area at the back of the boat. From the outside as well as from the inside a staircase will lead you to the upper deck and bridge area with a C-shape sofa/reading area, in house library, the suite and deluxe cabins, an office and the dive rental equipment room. The Carpe Diem has 10 comfortable cabins of different standards divided over 3 decks. 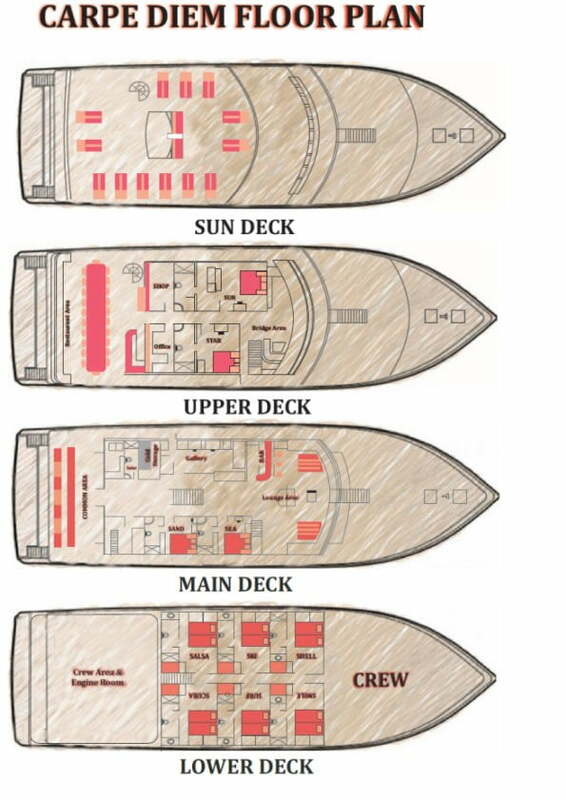 The different cabin types are suite (1), deluxe (1), double (2) and standard (6). All cabins have individually controlled AC, safety deposit boxes and their own private bathroom with toilet and hot water shower. The electricity voltage on board is of 220V and the plugs are of 3 pins UK type. The Carpe Diem has two double cabins, SEA and SAND located on the main deck, which are a little smaller than the deluxe cabin on the upper deck and standard cabins on the lower deck. They have queen size double beds and window view. Further amenities TV plus DVD/MP3 players. A total of 6 standard cabins, SALSA, SCUBA, SURF, SMILE, SNORKEL and SKI are located on the cabin deck below the main deck. 4 of these standard cabins are very spacious having a queen double bed and bunk bed. The 2 other standard cabins (SMILE and SNORKEL) each have a single bed and single bunk bed and can only take twin sharing occupancy. All standard cabins have portholes. The Carpe Diem team will take care of your perfect holiday. 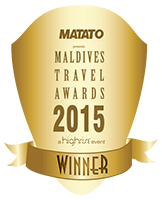 We have some of the best best divers from the Maldives in our team. You will enjoy the cooking qualities of our cook. A Dutch management that speak five languages. This team will do everything for you to have an unforgettable time during your stay on the Carpe Diem. Click on the sections below to open all details about our crew. Managing Director “Amir” is a Maldivian reputed business man with a passion for the sea, fishing and for boats. Before starting Carpe Diem Maldives he operated another liveaboard built by him for a few years before he sold it. Managing Director of Carpe Diem Maldives is just one of the many businesses he runs in the Maldives, but one he thoroughly enjoys. 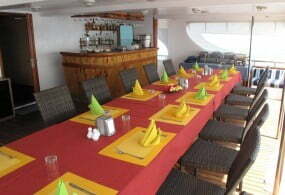 He is mainly responsible for the maintenance of the boats, staff/crew, licensing and accounts. “The man behind the scenes that makes it all happen”! The Director of Marketing/Operations “Agnes” is of Dutch origin and speaks 5 languages fluently (Dutch, German, French, Spanish and English). Together with her business partner and owner of the boat, Amir Mansoor, she started the company Carpe Diem Maldives Pvt. Ltd. in 2008. She is in charge of the marketing and operations and will make sure that together with her team on board everything is done for you to have an unforgettable experience during your stay on the Carpe Vita. Captain “Ayya” has been with the company since 2013 (2 years) now and has been a licensed safari boat captain since 2007. He is also a licensed diver and knows the Maldivian waters like no other. His other passion is music and some guests may experience him as “DJ Ayya” on some nights ;-). Your local Dive team consists of dive team leader and instructor Inthi assisted by dive master Hussein and Altho. All of them bring ample experience with them and have worked in the liveaboard industry for years. They speak fluent English and Inthi speaks fluent Japanese as well. With this abundance of experience and knowledge of the local dive sites and conditions your safety and comfort will be guaranteed. Their challenge will be to make your dive experience with the Carpe Diem truly memorable. After a short leave of absence our Sri Lankan Chef Cook “Iresh” is back on the Carpe Diem. He is a well experienced chef, and knows how to make those buffets special, extra tasty and of high standard. He is assisted by a local chef “Rakeeb” to add some local flavor to the menu. Both have them have been working on the Diem for many years. The menu covers a wide range of different international cuisines blended together for you to enjoy. With prior notice, special dietary requests can be catered for as well as any special occasion packages like birthday celebrations, anniversaries to name a few. The balance of our crew has been working on boats for most of their careers and know how to find the most beautiful and remote places for diving, surfing, fishing and snorkeling in the Maldives by heart. Apart from that they will take care of your comfort and safety on board. For those who want to know how many liters of fresh water we make per day our trips and other fact sheet figures: visit our “geek section”! Click here.